Buy Medical Alert Bracelets, Telecare and Personal Alarms from our Online Store. Monitored and unmonitored available. Medical Alert Bracelets, Telecare and Personal Alarms can be purchased today from our online store. 24-7 Monitoring can be included. Ireland's longest established telecare company. Our new domestic violence information brochure has just gone to print. It contains important details and options for monitored alarms to help protect victims of violence. Please contact the office if you would like to pre-order copies. Our most comfortable fall detector. The ergonomic design of our fall detector gives maximum comfort for everyday life. It is waterproof too and is made from hypoallergenic plastics. It will trigger automatically on impact but also includes a panic button. Our Active Intelligent Monitoring (AIM) System provides your loved ones with an effective way to stay independent and safe 24 hours a day. No panic button needs to be worn. Wandering is a common behaviour associated with dementia. Our 'Lola' dementia location device with GPS can be used to support people prone to wandering. It's got worldwide coverage capabilities and like all our products can be monitored 24 hours a day. For frail elderly, weak or people with neurological conditions or limited dexterity including those with Multiple Sclerosis (MS) or Parkinson’s disease. Requires very little strength and co-ordination to press for help. Join us at the...AN GARDA SIOCHANA SAFETY AWARENESS EXHIBITION - Breaffy Sports Arena, Breaffy, Castlebar, Co Mayo. Saturday 31st October 2015 from 11am to 4pm. We encourage elderly people and everyone with a pendant alarm to make use of their personal alarm system in Ireland and the UK. 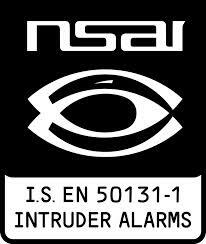 You can now buy your personal alarm from our online store in Ireland, the UK and beyond. We are looking forward to attending the Louth Age-Friendly Business Consumer Fair, where we will demonstrate our assistive technology and telecare products and services available for older people. We would love to meet you there.